#5: When she actually starts using it herself! Our sense of smell plays an important role in the game of love. Interestingly enough, it also plays a role in attraction between couples because olfaction reaches the emotional part of the brain much faster than any other sense. Let that sink for a bit. If you want to make an instant impression on a lady, you should do your best to look sharp, and you should talk a good game. But to really get her hooked, you have to smell awesome, bro. Remember: what may smell good to one lady might not be the same for another, so this scent-finding task will involve some trial and error. But to know if your woman approves of your pabango picks (if she hasn’t yet declared it outright,) take note of these subtle tips. 1. She tells her girlfriends that she likes men who are mabango. She likes guys who smell good, and she’s with you. So that means you smell good...right? 2. She "phantom smells" you at random points during her day. She tells you that, earlier today, she caught your scent in the air and it made her kilig. That's some positive recall right there, buddy. 3. She loves your pambahay/pantulog shirt. She loves sniffing the shirt you sleep in. She can't explain why, she just does. This is a good thing. 4. She's curious about your cologne. She regularly asks “Babe, anong pabango mo?” followed by a little smile. Meaning whatever scent you’re using is a keeper. 5. When she actually starts using it herself. You know she’s definitely in love with your perfume when she spritzes it all over her lovely self. Give yourself a pat on the back for your stellar olfactory choices, bro. 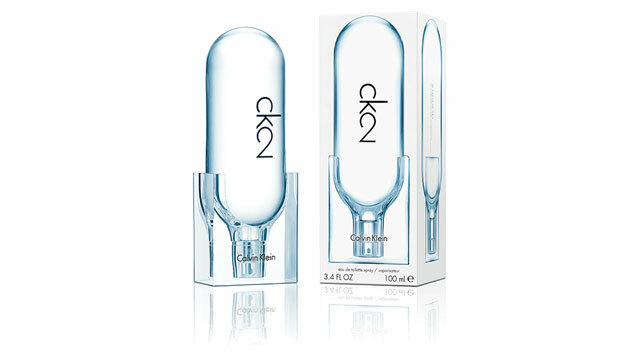 If you're cluless about what scent to sport, give Calvin Klein’s ck2 a try! This dual-faceted scent balances spicy freshness with woody warmth: fresh mandarin and violet leaf, peppered with spicy wasabi, make for an unexpected opening note, while wet cobblestones generate a cool, crisp feel for the middle notes. The finishing touch: a drydown of sandalwood, vetiver, and incense for magnetic warmth. The final product: A unique, complex scent that can be worn by both men and women, packaged in a sleek, minimalist clear bottle. Experience the thrill of life with ck2, and celebrate the connection between two people. It's attraction in a bottle, with smelling each other reaching a new level of intimacy. CK2 eu de toilette spray is available at premium perfume outlets for P4,298 for a 3.4oz/100 ml bottle, P3,198 for a 1.7oz/50ml bottle, and P2,498 for a 1.0oz/30ml bottle.